Detailed Sterling Silver Starfish Charms for your Nautical Charm Bracelet, Beaded Earring Designs, or to Wear on Your Favorite Necklace Chain. These Star Fish Pendants are hand-cast via the Lost Wax Casting Method here in the United States and measure approximately 20mm tall x 17mm wide. 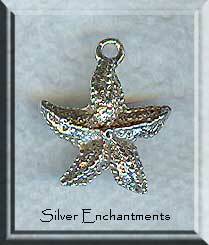 Overall Size : 20mm x 17mm = ~13/16" x 11/16"
Starfish or Sea Stars are said to have fallen from the Heavens to Earth. In Christianity they symbolize the Virgin Mary. In paganism they often symbolize : regeneration, healing, protection, friendship, guidance, and making a difference. It is no wonder, as the starfish can regenerate lost arms and have a natural protection or 'armour' made of spines -- which are used for protection from predators, which include birds, fish and sea otters. Sea Stars are truly remarkable examples of the wonders of sea life. > You can Customize this item into a Starfish Necklace -- Choose from : Charm Only, or on a Sterling Silver Necklace Chain (see last pic for current chain style). 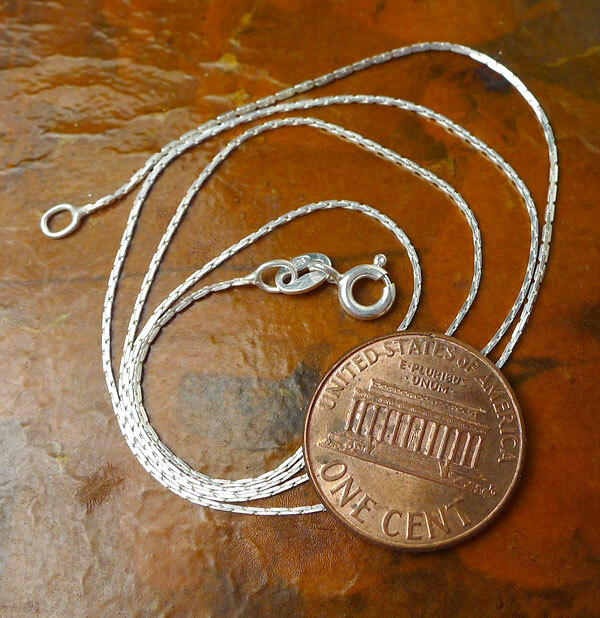 When selecting on a SS Chain, your Solid Sterling Silver Starfish Necklace will come Boxed.